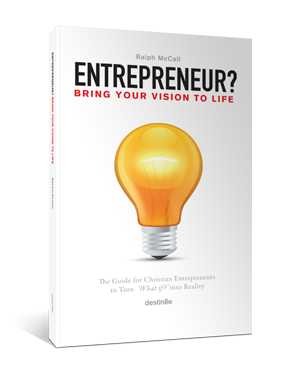 The Guide for Christian Entrepreneurs to Turn "What If?" into Reality. * What are your God-given dreams and desires? * What is your vision for the world? organization, or a new ministry? Or, maybe you have an idea to start a new commercial enterprise? It's time to get your ideas off the ground! aspects of starting a new enterprise and bringing your vision to life.